On the 3rd of April VSD and Second Investigation Department under MND prepared a report on national security dangers. We can find there that ‘Russia aims for countrymen to constantly increase demands on receiving special rights for Polish society in Vilnius Region. If Polish society receives special rights, it would be a pretext for Russia and its’ influence groups to demand same rights, also receiving special status by Russian society in all the Baltic Countries’. Head of Department Darius Jauniškis highlighted, that possible danger could come from potential separatist tendencies, not from original name spelling or double name street plates. He explained that Russia is trying to use various diaspore, which most probably do not get enough attention in Lithuania or they think so. It is not clear what ‘special rights’ are mentioned. After all, the rights of minority ratified by Framework Convention on the protection of national minorities are not ‘special’. In Lithuania, Convention entered into force in 2000. It sets minimal standards and non-discrimination, right to assembly and associating, freedom of speech, thoughts, beliefs and religion. It provides protection of languages and culture of national minorities and predicts rights to open educational institutions for national minorities. We remind, that from 2010 on there is no act on protecting national minorities in Lithuania and rights of minorities are not implemented. Such statements in the report cause hatred, which reflects in hate speech. It increases the gap between minorities and politicians. Minorities are not seen as citizens, but as begging groups for their ‘special rights’. 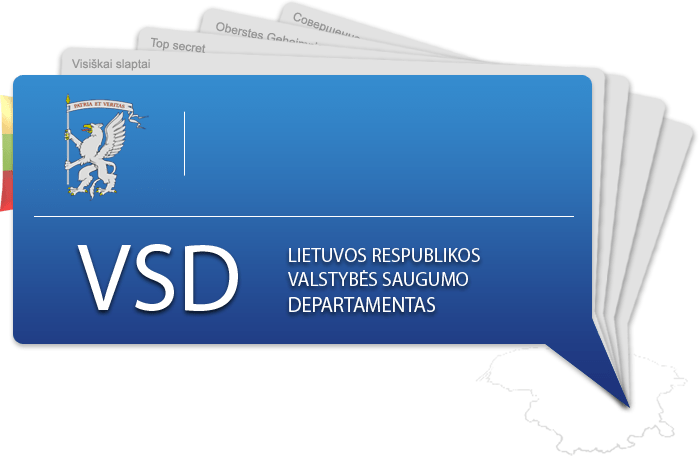 Lithuanian Government still does not obey national minorities protection standards predicted in the Convention and that is why Lithuania is criticized in international reports.